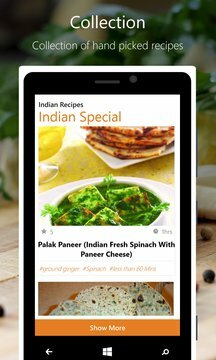 Indian Recipes (a FREE Indian cookbook app with half million recipes) will guide you through your cooking quests with such ease that your cooking skills will be no less than that of a professional chef! In this application, we have all grill that you will ever need; be it recipes for a wholesome breakfast or a healthy meal or chicken for a generous festive feast like Christmas, New Year, Thanksgiving, Dinner, birthday parties, etc. The Indian recipe book has it all! Special and palatable Christmas and New Year recipes such as christmas desserts, christmas cookie, christmas candy, christmas dinner, christmas cake, christmas jamie oliver, christmas crack, christmas punch, christmas breakfast, christmas pudding, new year filipino, new year dinner, new year appetizers, new year dessert, chinese new year recipes, jewish new year recipes, new year cake recipe, and many more Christmas and New Year recipes are now available with our Indian recipe book app. Now even your kids can explore and create their own tastes with the safe and simple cooking directions provided in this app. We have a huge collection of recipes just for kids! We have integrated with recipes for paneer, rice varieties, snacks, Indian chicken recipes, Indian Vegetarian recipes, South Indian recipes, etc. Vegetarian Indian recipes are really healthier and tasty. The veg loving friends will surely like these recipes. Out of main ingredients? You have nothing to worry. We can help you cook with what you have! This app lets you search for recipes by typing in single ingredients. Indian Recipes are enabled it in English for this app. The traditional spicy tastes of Indian dishes are now available at your fingertips. Fancy recipes for Halloween, recipes for a dinner party, summer recipes, Daily recipes, Christmas recipes, etc. are available now. 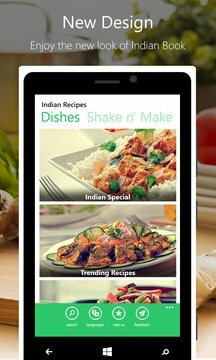 The updated version of Indian Recipe app includes more palatable Indian dishes like samosa recipes, pickles, special holiday recipes, Indian fry-bread, Indian paneer, Indian fish recipes, Indian chicken recipes, and many more. You can make simple and spicy evening snacks like samosa for your dear ones. Celebrate this Christmas and New Year with our special recipes. Check it out and enjoy the new tastes with your dear ones. Indian Recipe holds the traditional spicy flavors of Indian dishes. Once you have it, surely you’ll taste it again. Try it out soon.